Over the weekend I remembered I was supposed to put together some sort of Christmas themed trail mix for my daughter’s dance recital this morning. I was working all weekend of course so in between shifts I put together a really cute printable tag and left the snack up to the husband! I searched Pinterest and found an easy recipe for him to throw together here. It was super easy. Chex cereal (half of it covered in white chocolate and half in semi sweet chocolate), Holiday colored M&Ms, and pretzels! We packaged them into cute snack sized treat bags and attached my printable tag! Simple as that and they looked really cute. The girls were all excited for their Christmas treat after the show! It was the perfect size for 2-3 year old snack and easy to take home too! 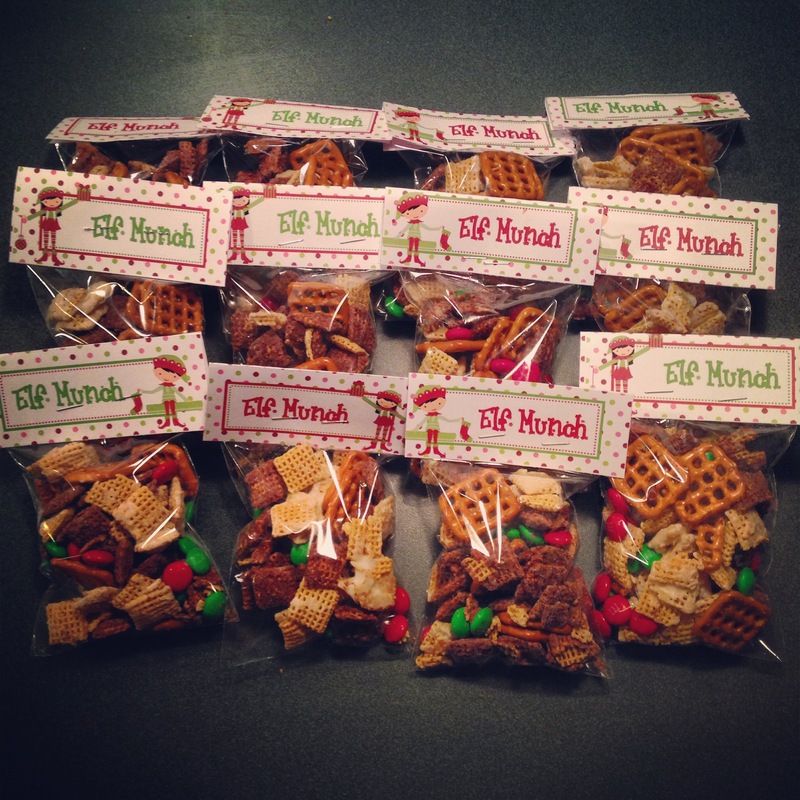 Download your own Elf Munch tags here for a festive last minute treat this Holiday season! 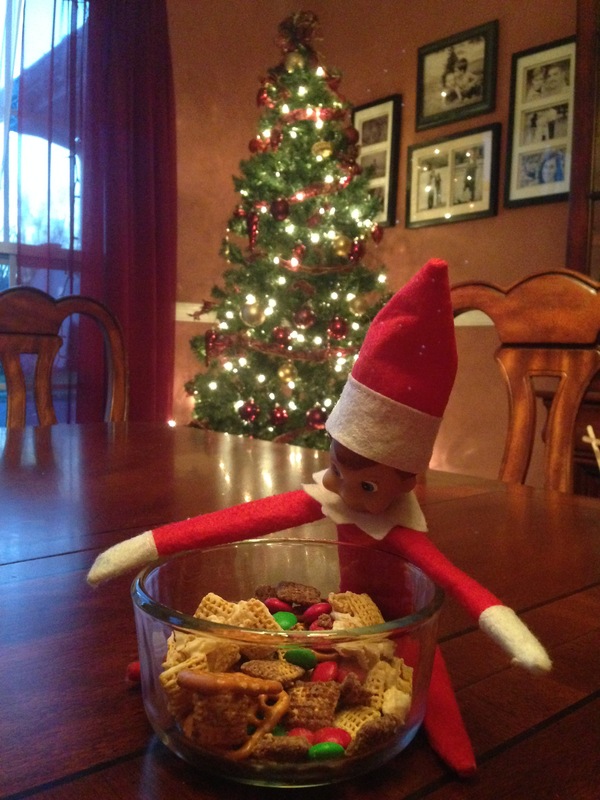 Even our Elf on the shelf, Bernard got into some Elf munch! YUM!